ICML 2019 has an option for supplementary code submission that the authors can use to provide additional evidence to bolster their experimental results. Since we have been getting a lot of questions about it, here is a Frequently Asked Questions for authors. 1. Is code submission mandatory? No. Code submission is completely optional, and we anticipate that high quality papers whose results are judged by our reviewers to be credible will be accepted to ICML, even if code is not submitted. 2. Does submitted code need to be anonymized? ICML is a double blind conference, and we expect authors to put in reasonable effort to anonymize the submitted code and institution. This means that author names and licenses that reveal the organization of the authors should be removed. Please note that submitted code will not be made public — eg, only the reviewers, Area Chair and Senior Area Chair in charge will have access to it during the review period. If the paper gets accepted, we expect the authors to replace the submitted code by a non-anonymized version or link to a public github repository. 3. Are anonymous github links allowed? Yes. However, they have to be on a branch that will not be modified after the submission deadline. Please enter the github link in a standalone text file in a submitted zip file. 4. How will the submitted code be used for decision-making? The submitted code will be used as additional evidence provided by the authors to add more credibility to their results. We anticipate that high quality papers whose results are judged by our reviewers to be credible will be accepted to ICML, even if code is not submitted. However, if something is unclear in the paper, then code, if submitted, will provide an extra chance to the authors to clarify the details. To encourage code submission, we will also provide increased visibility to papers that submit code. 5. If code is submitted, do you expect it to be published with the rest of the supplementary? Or, could it be withdrawn later? We expect submitted code to be published with the rest of the supplementary. However, if the paper gets accepted, then the authors will get a chance to update the code before it is published by adding author names, licenses, etc. 6. Do you expect the code to be standalone? For example, what if it is part of a much bigger codebase? We expect your code to be readable and helpful to reviewers in verifying the credibility of your results. It is possible to do this through code that is not standalone — for example, with proper documentation. 7. What about pseudocode instead of code? Does that count as code submission? Yes, we will count detailed pseudocode as code submission as it is helpful to reviewers in validating your results. 8. Do you expect authors to submit data? We understand that many of our authors work with highly sensitive datasets, and are not asking for private data submission. If the dataset used is publicly available, there is no need to provide it. If the dataset is private, then the authors can submit a toy or simulated dataset to illustrate how the code works. 9. Who has access to my code? Only the reviewers, Area Chair and Senior Area Chair assigned to your paper will have access to your code. We will instruct reviewers, Area Chair and Senior Area Chair to keep the code submissions confidential (just like the paper submissions), and delete all code submissions from their machine at the end of the review cycle. Please note that code submission is also completely optional. 10. I would like to revise my code/add code during author feedback. Is this permitted? Unfortunately, no. But please remember that code submission is entirely optional. The detailed FAQ as well other Author and Style instructions are available here. This is not at all related to Machine Learning. I lived in Squirrel Hill as a graduate student at Carnegie Mellon so the massacre there is feeling particularly immediate. While the person who did it is obviously culpable, the pattern of events makes it clear that others bear responsibility as well. 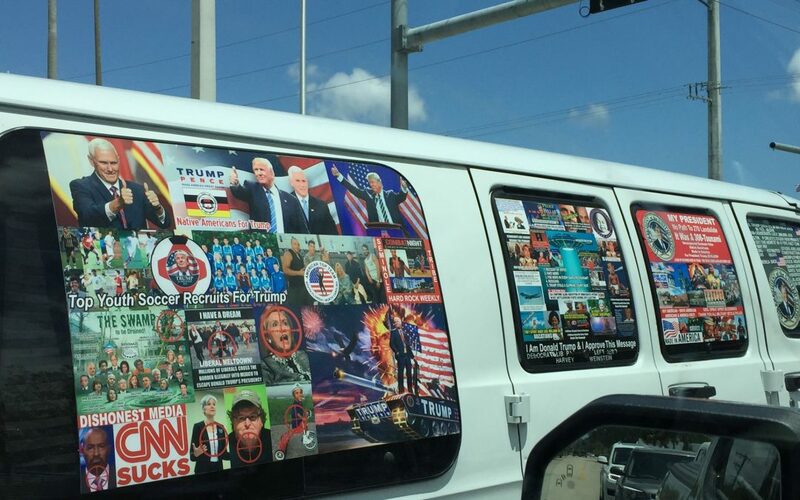 This pattern includes an attempted bomber of Democrats and Trump critics by a Trump fanboy. 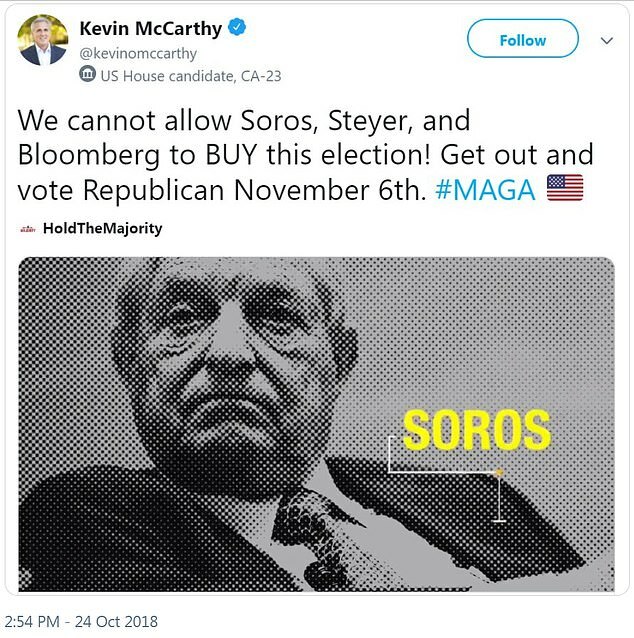 It also includes a more general cross section of Republicans and their leaders pushing anti-semitism and more general xenophobia about migrants. I don’t believe that stochastic terrorism is the goal here. Instead, I have a rather pessimal view of politics in which politicians do pretty much anything to get re-elected, at least in aggregate. Donald Trump’s presidential campaign showed how to do this with a platform of populism, nostalgia, xenophobia, and anti-abortion voters. The populist angle is looking fairly broken now between anti-populist tax cuts and widely publicized efforts to allow preexisting condition discrimination by insurance companies via Obamacare repeal. About the only populist angle which works is the economy, which is doing fine. On the other hand, there is no obvious change in employment trends since 2011 and no change in wage trends since 2014 so the case for responsibility is clearly tenuous. Alliances in a two-party system tend to be fragile since winning with a smaller constituency enables better serving that constituency. Losing the populist angle leaves a double-down on the remaining agenda as the most plausible choice. Xenophobia is much older than democracy and psychologically potent so it has obvious value. It’s historically used by leaders who pick some characteristic to divide people and position themselves to thrive on the conflict or distraction that creates. Almost anything will do—if you take away religion, birthplace, skin color, and ethnicity, it would just change to hair color, nose size, or left-handedness. In a democracy, the goal with this approach is simply convincing people to vote according to their activated xenophobia. For people embracing xenophobia to retain power, stochastic terrorism is just an unfortunate side effect. In this sense, inciting xenophobia about a caravan of refugee Guatemalans at the other end of Mexico is rather clever since most of them won’t even make it to the US border months after the election plausibly leaving only electoral consequences. Yet xenophobia is known to be hard to control. Given this, it’s difficult to imagine stochastic terrorism as anything other than deliberately accepted by the Republican party leadership as an observed consequence of this behavior. The Squirrel Hill massacre and the attempted bombing campaigns are precisely the sort of thing that can happen when you dial up the rhetoric just before an election. This is part of a pattern of moral collapse across the Republican party. By any reasonable measure Donald Trump is a serial liar with Republican politicians now mimicking this behavior. A remarkable set of people around the Trump campaign are confessed or convicted criminals with members of the Republican party variously tolerating, condoning, and perhaps mimicking. In this context, the upcoming midterm election seems particularly important. If politicians in aggregate behave as if they will do anything to get reelected, then voters must vote for the behavior they want at the ballot box rather than relying on or appealing to it at a later date. In most situations, this is about picking and choosing the better candidate. I’ve been registered as an independent for this reason—I want to decide for myself. This is not most situations. Do voters rebuke the Republican party or not? If the answer is not (a 37% chance according to bettors at present) then the slide into corruption likely accelerates as confirmed control of the government erodes the remaining institutional checks on corruption. We are several steps away from a state of deep corruption and it takes time for the consequences of corruption to really seep into society. But every step on the path makes the situation worse and we are on the wrong path now as evidenced by bombing attempts, a xenophobic massacre, and the wider context creating them. I want to particularly encourage those who are eligible to vote in the United States midterms November 6th. We are hiring for reinforcement learning related research at all levels and all MSR labs. If you are interested, apply, talk to me at COLT or ICML, or email me. More generally though, I wanted to lay out a philosophy of research which differs from (and plausibly improves on) the current prevailing mode. Deepmind and OpenAI have popularized an empirical approach where researchers modify algorithms and test them against simulated environments, including in self-play. They’ve achieved significant success in these simulated environments, greatly expanding the reportoire of ‘games solved by reinforcement learning’ which consisted of the singleton backgammon when I was a graduate student. Given the ambitious goals of these organizations, the more general plan seems to be “first solve games, then solve real problems”. There are some weaknesses to this approach, which I want to lay out next. Broken API One issue with this is that multi-step reinforcement learning is a broken API in the sense that it creates an interface for problem definitions that is unsolvable via currently popular algorithm families. In particular, you can create problems which are either ‘antishaped’ so local rewards mislead w.r.t. long term rewards or keylock problems, as are common in Markov Decision Process lower bounds. I coded up simple versions of these problems a couple years ago and stuck them on github now to be extra crisp. If you try to apply policy gradient or Q-learning style algorithms on these problems they commonly run into exponential (in the number of states) sample complexity. As a general principle, APIs which create exponential sample complexity are bad—they imply that individual applications require taking advantage of special structure in order to succeed. Transference Another significant issue is the degree of transference between solutions in simulation and the real world. “Transference” here potentially happens at several levels. Do the algorithms carry over? One of the persistent issues with simulation-based approaches is that you don’t care about sample complexity that much—optimal performance at acceptable computational complexities is the typical goal. In real world applications, this is somewhat absurd—you really care about immediately doing something reasonable and optimizing from there. Do the simulators carry over? For every simulator, there is a fidelity question which comes into play when you want to transfer a policy learned in the simulator into action in the real world. Real-time ray tracing and simulator quality more generally are advancing, but I’m not ready yet to trust a self-driving care trained in a simulated reality. An accurate simulation of the physics is unclear—friction for example is known-difficult, and more generally the representative variety of exogenous events in an open world seems quite difficult to implement. Solution generality When you test and discover that an algorithm works in a simulated world, you know that it works in the simulated world. If you try it in 30 simulated worlds and it works in all of them, it can still easily be the case that an algorithm fails on the 31st simulated world. How can you achieve confidence beyond the number of simulated worlds that you try and succeed on? There is some sense by which you can imagine generalization over an underlying process generating problems, but this seems like a shaky justification in practice, since the nature of the problems encountered seems to be a nonstationary development of an unknown future. Value creation Solutions of a ‘first A, then B’ flavor naturally take time to get to the end state where most of the real value is set to be realized. In the years before reaching applications in the real world, does the funding run out? We certainly hope not for the field of research but a danger does exist. Some discussion here including the comments is relevant. Each of the issues above is addressable. Build fundamental theories of what are statistically and computationally tractable sub-problems of Reinforcement Learning. These tractable sub-problems form the ‘APIs’ of systems for solving these problems. Examples of this include simpler (Contextual Bandits), intermediate (learning to search, and move advanced (Contextual Decision Process). Work on real-world problems. The obvious antidote to simulation is reality, driving both the need to create systems that work in reality as well as a research agenda around reality-centered issues like performance at low sample complexity. There are some significant difficulties with this—reinforcement style algorithms require interactive access to learn which often drives research towards companies with an infrastructure. Nevertheless, offline evaluation on real-world data does exist and the choice of emphasis in research directions is universal. The combination of fundamental theories and a platform which distills learnings so they are not forgotten and always improved upon provides a stronger basis for expectation of generalization into the next problem. The shortest path to creating valuable applications in the real world is to simply work on creating valuable applications in the real world. Doing this in a manner guided by other elements of the research program is just good sense. The above must be applied in moderation—some emphasis on theory, some emphasis on real world applications, some emphasis on platforms, and some emphasis on empirics. This has been my research approach for a little over 10 years, ever since I started working on contextual bandits. Let’s call the first research program ’empirical simulation’ and the second research program ‘real fundamentals’. The empirical simulation approach has a clear strong advantage in that it creates impressive demos, which creates funding, which creates more research. The threshold for contribution to the empirical simulation approach may also be lower simply because it requires mastery of fewer elements, implying people can more easily participate in it. At the same time, the real fundamentals approach has clear advantages in addressing the weaknesses of the empirical simulation approach. At a concrete level, this means we have managed to define and create fundamentals through research while creating real-world applications and value radically more efficiently than the empirical simulation approach has achieved. The ‘real fundamentals’ concept is behind the open positions above. These positions have been designed to come with both the colleagues and mandate to address the most difficult research problems along with the organizational leverage to change the world. For people interested in fundamentals and making things happen in the real world these are prime positions—please consider joining us.